I just received two new tubes of Weleda. I will personally test one, and the other will be tested by someone else. I will keep this post updated with my findings. So far I must say that Weleda: Natural Salt disappointed me a little bit because it is not Vegan-Friendly. It contains lactose. But the positive thing is that my first cleaning was fantastic. It is not too salty, and it is not foaming. Not foaming is a sign that this toothpaste does not contain any detergents. Taste of the toothpaste is splendid; it is minty, and after you finish teeth brushing you have a fresh feeling that stays for a long time. The color of the toothpaste is somewhat gray/brown, and you should not put too much on the toothbrush because toothpaste is pretty strong, especially in freshens. 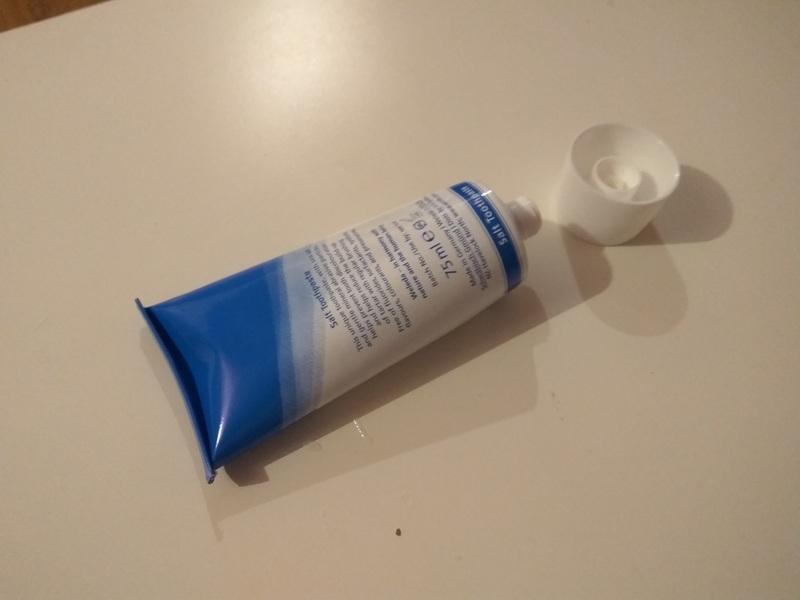 One tube lasted almost 2 months, and I was cleaning my teeth at least two times per day. Weleda Toothpaste probably lasted so long because you need to use a tiny amount on the toothbrush. If you put too much, you could have a too fresh taste in your mouth, and it is just overkill. Overall with the cleaning, I am more than satisfied. Salt in the toothpaste is excellent for extra cleaning. After you do your first brush, you will understand what I am saying. The only problem with toothpaste is lactose. Because of lactose, it is not vegan-friendly. That why I will not raise or lower the rating for Weleda Salt. If there is not lactose int he toothpaste Weleda Salt would get clean 10/10 rate. In this day and age, health and dental hygiene awareness are stronger than ever before, and many people are turning to organic products to improve their health and lifestyle. There is a myriad of different dental hygiene products on the market, however, finding a normal, natural toothpaste can be an endless search. I recently put down the Colgate and decided to embark on a journey to discover the best organic toothpaste, and I eventually came across Weleda: Natural Salt toothpaste, a Swiss product. I swiftly purchased the product through the excitement of using an imported toothpaste, and later developed mixed feelings about Weleda. When I first used the Weleda toothpaste, I noticed that the substance is a dark gray color with a powdery consistency, due to the salt. This dark color was not a particularly pleasing sight upon opening the tube because although this product gets the job done, it looks rather dirty. When I began brushing my teeth, I noticed that the gritty texture remained, and it felt as if there was sand in my teeth, making me a bit uncomfortable and disgusted. The taste was extremely salty and hard to manage. Probably because I have been pampered with the minty flavor of commercial toothpaste for so long. Although the looks, taste, and texture of this product are not desirable in any form or fashion, it is still an excellent product because it is legitimately natural. While many kinds of toothpaste claim to be natural, most of the time they are only stretching the truth and altering the names of ingredients to maintain the illusion. Weleda has no desire to deceive their customers, and they created a most beneficial product to both dental hygiene and overall health. 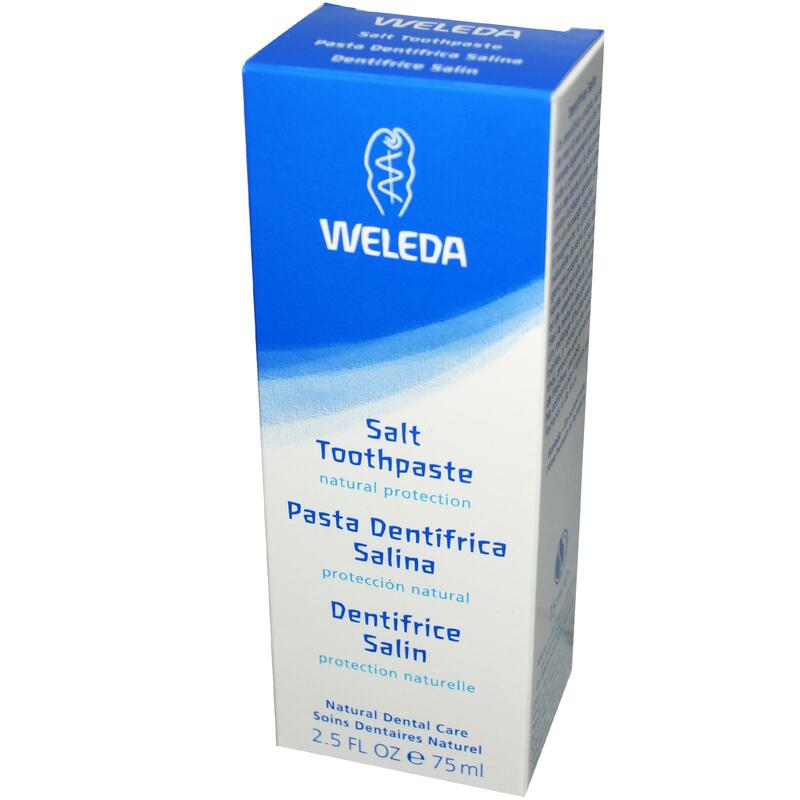 The health qualities alone make Weleda: Natural Salt toothpaste a useful product, and if you can get over the taste and texture, then you should have no problem recognizing the improvement in your dental hygiene. After using this product for a few days, I began noticing that my mouth feels a lot of fresher and cleaner without the assistance of fluoride, SLS, and other potentially harmful chemicals. Weleda product also significantly contributes to smoother teeth, and my teeth even started whitening and cleaning up after a period of usage. The salt is an incredibly useful ingredient that is just abrasive enough to clean teeth, but not enough to irritate the gums. However, I had to carry a pack of gum around with me throughout the day because the toothpaste does not contribute to good breath in the least. 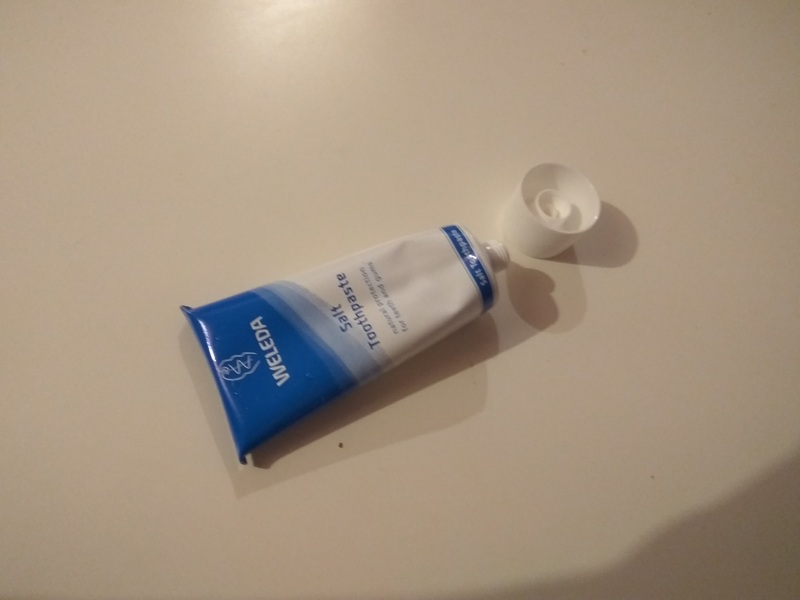 I would still recommend Weleda toothpaste to someone although it is not very attractive and does not taste good, look good or contribute to fresh breath. This product still gets a 4 out of 5 because it is very safe, organic and gets the job done just as good as its chemically-saturated competition. However, there are better natural products than this one on the market. However, it will take some time to pour through pages of chemical products and illegitimate toothpaste companies claiming to be all natural to find the best products.